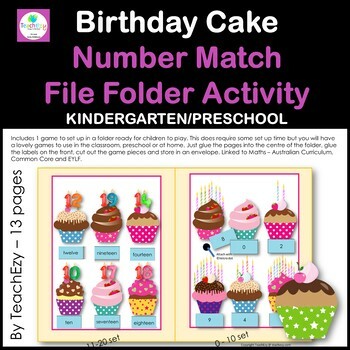 Includes 5 maths games to set up in folders ready for children to play. 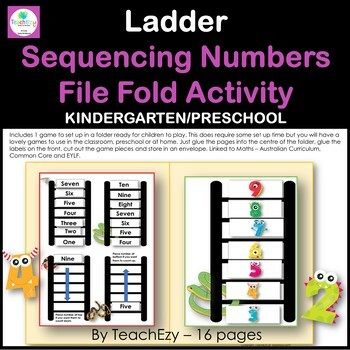 This does require some set up time but you will have 5 lovely games to use in the classroom, preschool or at home. 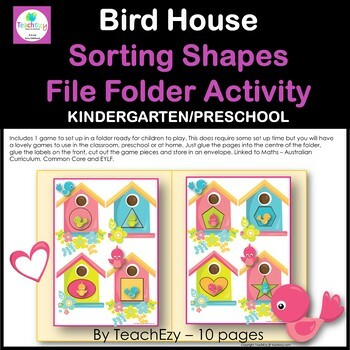 Just glue the pages into the centre/center of the folder, glue the labels on the front, cut out the game pieces and store in an envelope. 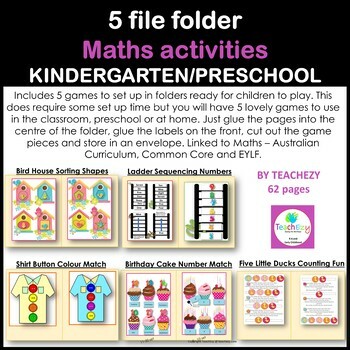 Linked to Maths – Australian Curriculum, USA Common Core and Australia EYLF.